The number of fully smoke-free post-secondary campuses in Canada more than quadrupled between 2016 and 2018, according to a new report. 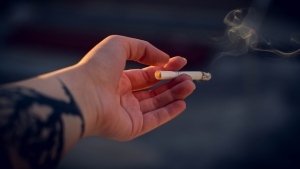 The Canadian Cancer Society report says there are now 65 Canadian colleges and universities which have enacted 100 per cent smoking bans on their campuses, up from 30 in 2017 and 13 in 2016. Three more post-secondary institutions will have tobacco smoke-free policies in place by 2019, with another one planning to implement a similar policy by 2021. Eight other universities have committed to going fully smoke-free, but have not explicitly said when their policies will take effect. The bans cover all indoor and outdoor areas of the schools’ campuses, and do not allow for designated on-campus smoking areas. “Smoke-free campuses not only provide protection from secondhand smoke, but they’re a great motivator for people to quit smoking altogether,” Rob Cunningham, a senior policy analyst for the Canadian Cancer Society, told CTVNews.ca. Cunningham likens campuses going smoke-free to workplaces doing so in past decades, noting that people are less likely to smoke cigarettes the more difficult it is for them to do so. “When people were no longer able to smoke at their desk or inside their office or their factory and had to go outside, that was a great motivator for people to quit,” he said. Most of the 65 universities that have enacted bans take their efforts beyond tobacco smoking to encompass marijuana, e-cigarettes, hookahs and/or non-cigarette forms of tobacco. All of those items are banned at the University of Regina, where a no-smoking policy came into effect last month. Marijuana in particular is being credited as the impetus behind many of the new post-secondary policies. According to Cunningham, universities have enacted full no-smoking policies as ways of ensuring that underage students will not smoke marijuana on campus once it is legalized next month. “There’s no doubt that the legalization of cannabis has really accelerated institutions to consider updating their policies,” he said. The Canadian Cancer Society looked at approximately 260 colleges and universities across the country in compiling this report. Post-secondary institutions which are online-only or otherwise have no outdoor space were not studied. Dalhousie University became the first campus in Canada to go fully smoke-free in 2003. Expectant mothers in Yarmouth, N.S. 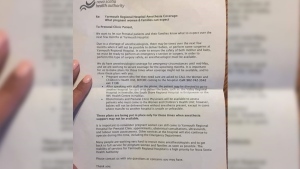 are sounding alarm bells after a local hospital issued a notice warning that women in labour may be turned away due to a shortage of anesthesiologists. 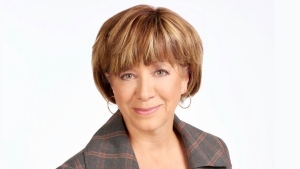 CTV's Medical and Health Correspondent is always looking for health information that can make a difference in the lives of Canadians.